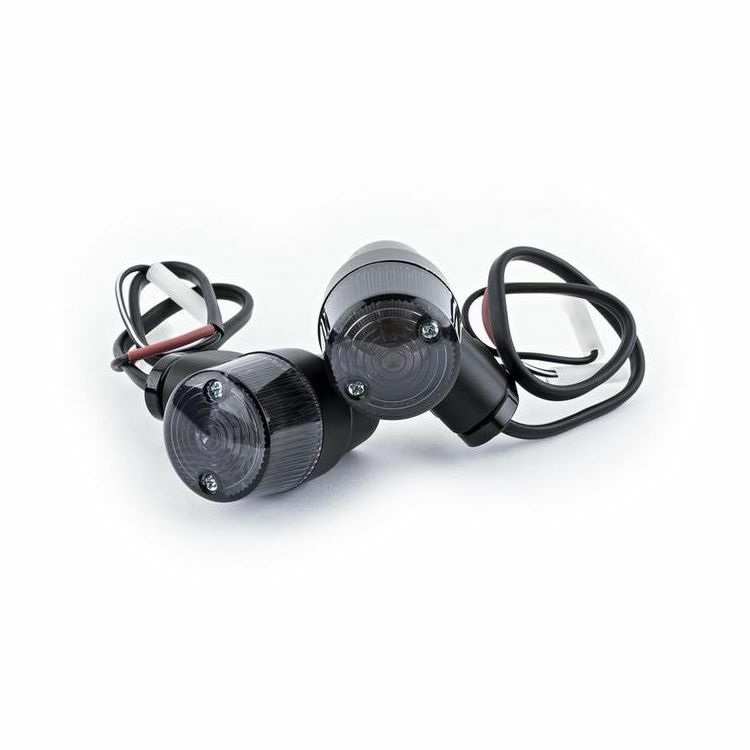 The British Customs Plug n Play Front Turn Signal Kit makes replacing your bike’s front turn signals faster and easier than ever before. This kit is a complete pre-assembled "plug ‘n play" kit that allows you to quickly and easily replace the obnoxious dog ears that came stock on your bike. Complete with smoked-out retro turn signals, relocation brackets, and quick connect wire harnesses, this kit allows you to personalize your bike’s front end by bringing the front turn signals in tighter to the front forks for a clean, custom look. The quick connect harness just needs to be plugged into the factory turn signal harness, eliminating the need for splicing and soldering, and the relocation brackets don’t require you to modify your forks. To finish customizing your lighting, install the Plug n Play Retro Rear Turn Signal kit, available as a shock mount option OR direct factory replacement.